The club is delighted to welcome new member Jim and his wife Rose to the Ipswich Rotary family. Prior to moving to Ipswich, Jim was a member of the Nashoba Valley Rotary Club where he was President last year. Jim is a second generation Rotarian, his father was a member of the Newton Rotary Club for 30 years. He recently retired from a very successful career as a software development manager. 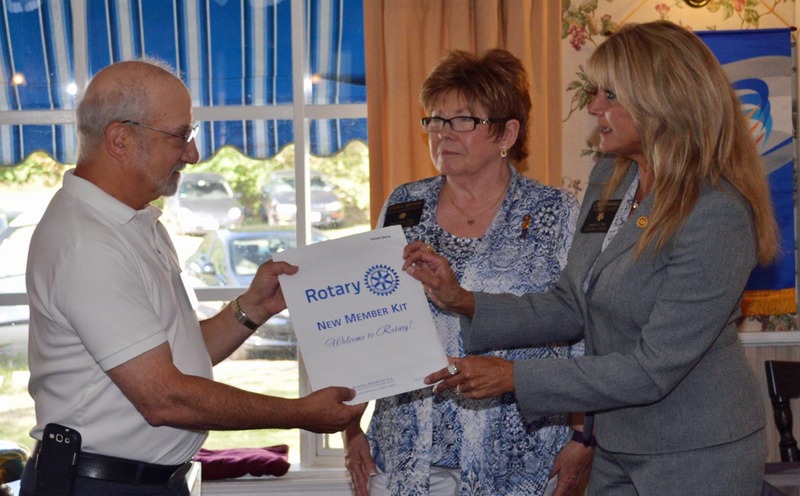 Jim was officially welcomed by District Governor Sheryl Meehan and President Lisa Shanko. 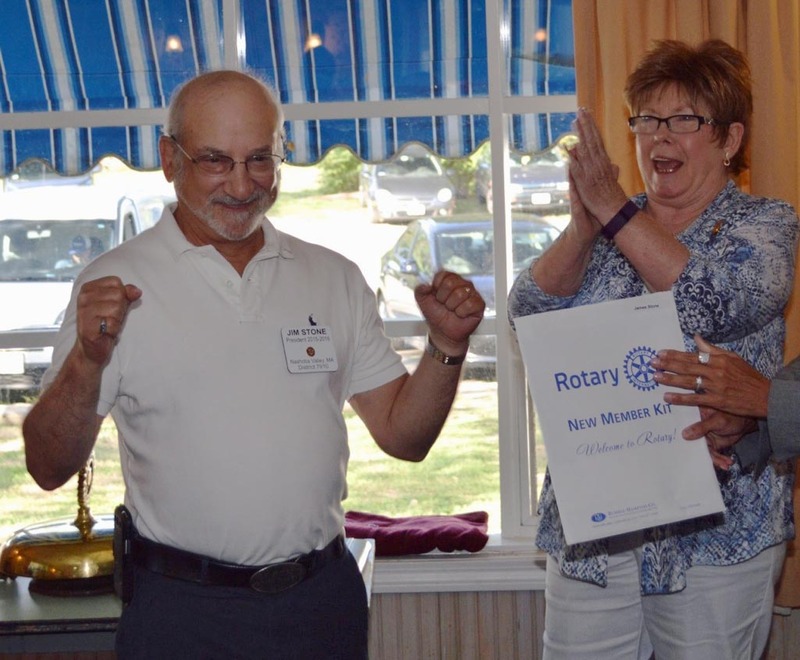 Jim Celebrates as he is warmly welcomed by the members and District Governor Sheryl.